You guys, I gotta be up front about this post. It’s not the most glamorous you’ll ever see on here. But a girl’s gotta keep it real, right? And as far as beauty goes, feet are about as down to earth (ha) as it gets. I’m going to be honest one more time, and say for the record that I really dislike feet. Of all of our appendages, they are the ones I have the least amount of love for. They’re pretty gross. But, they require maintenance, just like everything else. And I love nail polish, so that kind of makes that maintenance ok.
Every couple of weeks, I like to do a bit of an at home spa – you know the drill. A quiet Saturday or Sunday night in, a dry body brush (the one in this post is great), plenty of moisturiser, a facemask or two (or even three, if you’re going to do it, may as well do it properly! ), an at home mani-pedi. So with that in mind, enter here, the new Velvet Smooth Express Pedi. I was a bit skeptical of this tool at first, but I’m now a total convert. My poor feet took a battering over the warmer months – being unemployed for most of the warmer months meant I was kicking around barefoot 90% of the time. Hello, dry skin and cracked heels. 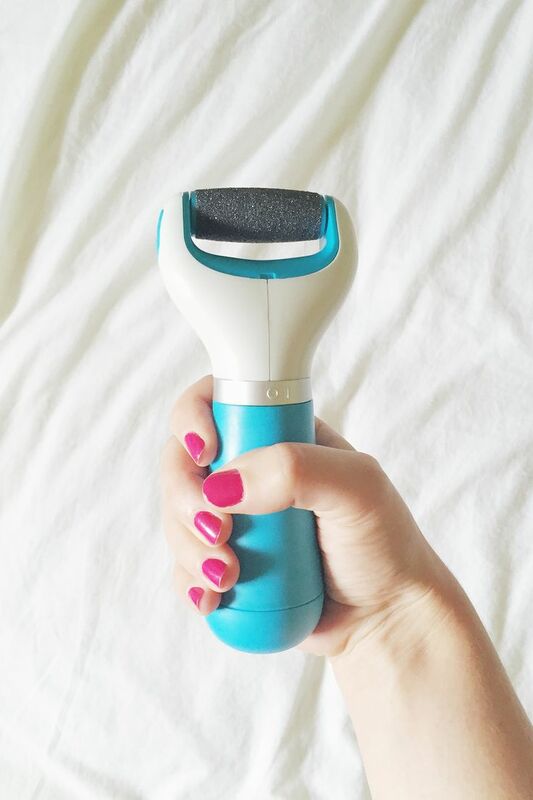 This Express Pedi tool is a like a foot exfoliant tool on steroids. It has diamond particles on the roller head to gently grind away at your toughened skin and soften those babies right up. Follow it up with your favourite foot cream, like the Eulactol Gold Heel Balm (actually a classic), and you’ll be good to go. It’s kind of gross, but I honestly couldn’t believe the dead skin this bad boy took off. You need to be careful not to hold it in one spot for too long, but it’s seriously effective. Definitely one of my new favourite tools; I’ll be putting it into Sunday night rotation – an achievement that’s no easy feat. (I’m sorry about the foot puns, they just keep coming). For full disclosure: this isn’t a sponsored post, but when Scholl offered to send me some prods to give my feet some post-summer lovin’, I jumped at it. 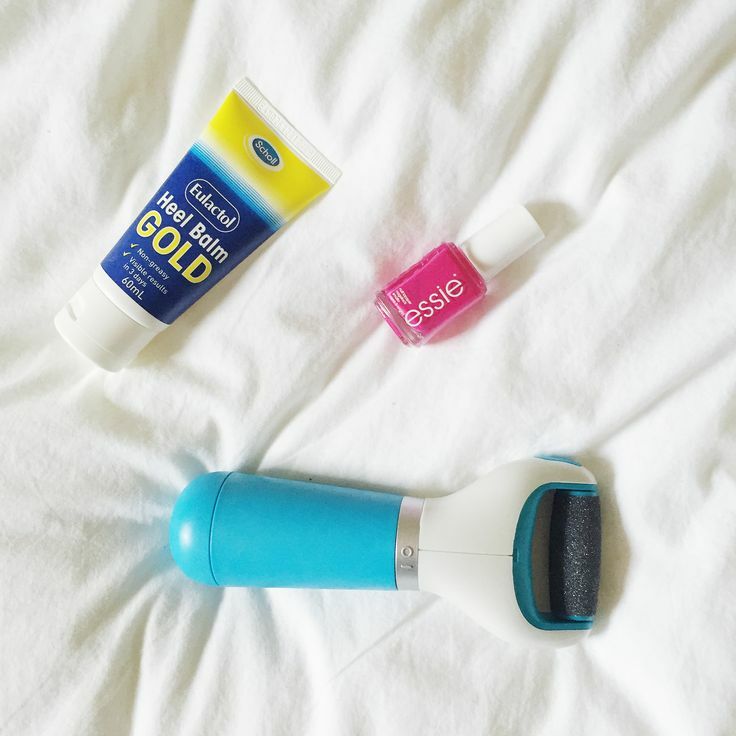 Scholl Eulactol Gold Heel Balm and Velvet Smooth Express Pedi are c/o. Who doesn’t want soft feet? This would be perfect for summer!